smiles so bright youll need to wear shades – Hayden Consulting – Where Your Success in Business and Life Matters! Ever wonder why it is that some offices have a lot of success with teeth whitening sales and other offices not so much? Here’s why…. No whitening system or whitening goals will ever be reached or work if the entire team isn’t on board with it and actually consistently offering it. Complimentary whitening trays for each & every team member. They need to have a beautiful white smile and an experience to share with your patients. Let your patient know that you’re going to start the appointment by taking a shade match of their current tooth color for your records. You can show them where they are on the shade guide. 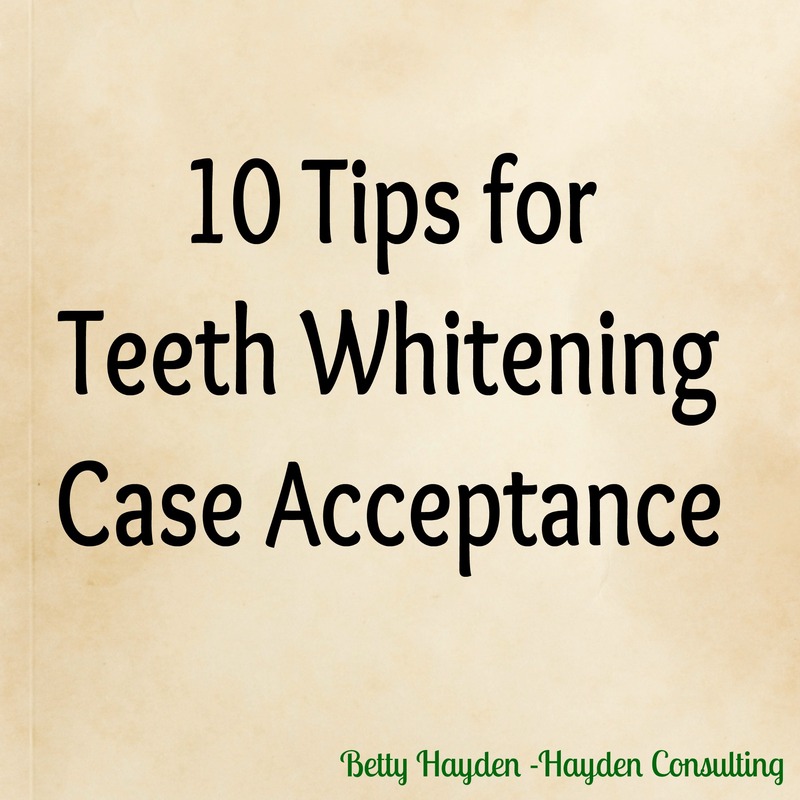 This very often leads your patient to ask you about teeth whitening and other cosmetic treatment options. tobacco, coffee & tea stains! Would you also like to whiten your teeth at this appointment? What are they telling you about upcoming events in their lives? Wedding? Job Hunting? Recently Single? Holiday time? Special Events? Vacation? Class Reunion? What a great time to ask if they would like to have a bright, white smile for their special event, job interview, etc. Include offers for teeth whitening and patient teeth whitening success stories with your… Newsletters, Postcards, Social Media sites (Facebook, Twitter, Pinterest, Instagram, etc) Website and Blog Posts. Video testimonials are a powerful marketing tool for your social media platforms. Be sure to set up computer reminders to call, text, email or send a postcard to your patients that have purchased teeth whitening trays around the time when they will be due for a refill. Set a monthly whitening goal! Talk about daily goals at morning meetings. Consider offering a team bonus or incentive for every whitening case. Use only the BEST teeth whitening products and techniques! Quality matters. As does comfort! Make this appointment as comfortable & sensitivity-free as possible for your patients. Because your office is going to be filled with such bright smiles you’ll need to wear shades! #1 – Offer a fun promotion in the community to local businesses. A drawing to win Free Take-home Teeth whitening trays to one or more people. Offer this at local salons, restaurants and schools. #2 – BOGO Special Offer – Buy One, Get One 50% Off Teeth Whitening. This special offer increases your opportunity to bring in new patients. #3 – Make it convenient for your patients to say yes. Your patients are busy, assure them that this appointment will be quick. It’s helpful for all your team members to be cross-trained to take impressions and make trays. I’m certain that if each step is followed closely and consistently you will see success with your teeth whitening goals.